What I think’s fascinating about this is the use of the language of coercion. If we “allow” developers to use the old garage site for nongarage purposes, we will “force” commuters to walk a quarter of a mile and this will be a “sell-out to private interests.” The parkers themselves, however, are a private interest. They’re an interest that wants to forbid the land from being used for any nonparking purpose in order to ensure themselves access to valuable land at sub-market prices. 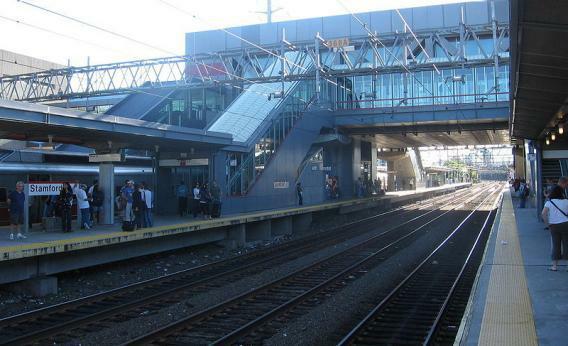 Will replacing garages with transit-oriented development reduce ridership on the train? It seems unlikely. Obviously parking is better for ridership than surrounding the station with an ocean of lava, but around the world you generally see the most-used train stations surrounded by buildings. Some people will live in the buildings and walk to the station in the morning. Others will work in the buildings and ride the train to the station. Parking at a further remove from the station and walking to it will become more pleasant if you walk through a neighborhood rather than walking through a field of parking garages. The residences and businesses will generate tax revenue that allow the municipality to improve overall quality of life. The general point is that rail transportation is expensive to build. But it often can drastically increase the value of station-proximate land. It’s important to use that land for its most valuable purpose. That will likely include parking in most cases, but reserving the land exclusively for parking is the real sell-out to private interests.